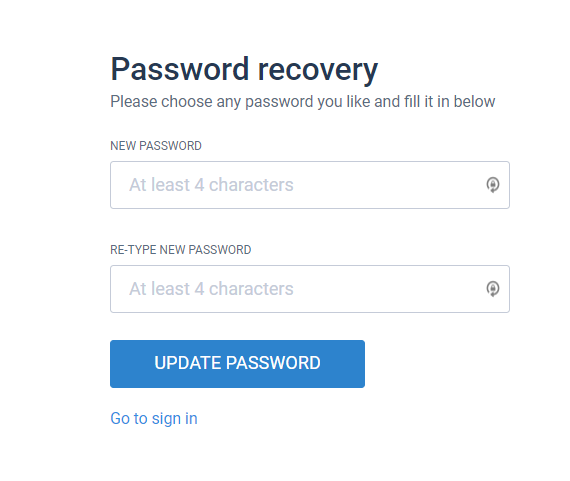 If you forgot your password, please keep reading to see how to recover it and regain access to your account. Go to www.flipsnack.com and click on the Sign In button in the upper-right corner of our website. 2. 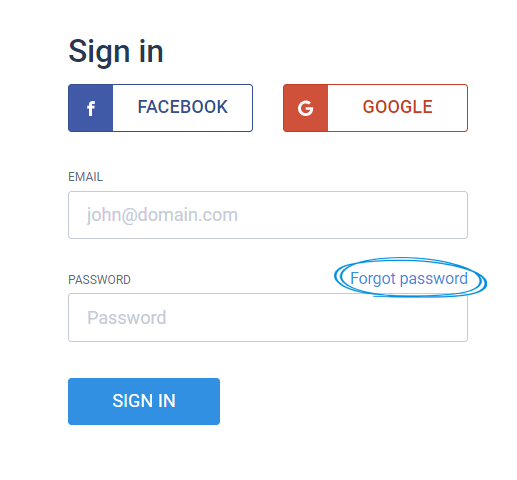 On the Sign In page, select Forgot password above the password box. 3. 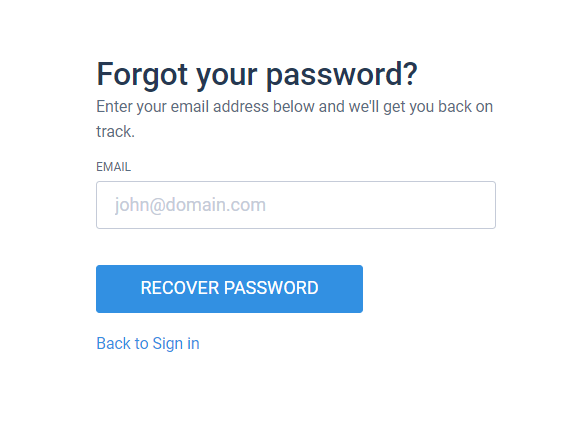 Insert the email address associated to your Flipsnack account in the email box, click on the Recover password button and a link will be sent to that email. Click on the link you received via email to set a new password for your account. 4. After you typed in your new password, click on the Update password button to update your password and enter your account. If you encounter any issues while recovering your password or you don't receive the link to your email address, please contact us via live chat.